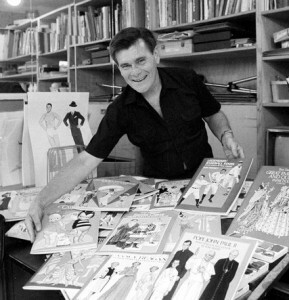 Artist Tom Tierney, who created over 400 ‘paper dolls’ books, died on July 12 at his Texas home, reports the New York Times. He was 85. He briefly knew Marilyn in 1958 when they were both living in New York, Tierney told Michelle Morgan, author of MM: Private and Undisclosed. Tierney’s neighbours at the time were magazine editors Jack Hamilton and Charles Schneider, and Marilyn often attended ‘interview parties’ in their apartment with husband Arthur Miller. 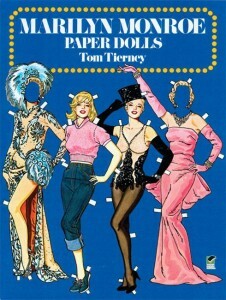 Originally published in 1979, Marilyn Monroe Paper Dolls was the first in the series to make the Times bestseller list – and is one of the few Marilyn-related books to remain in print ever since.